Dorsington is delightful Warwickshire village with thatched cottages. Any extras or Welcome Packs can be provided by prior arrangement and all heating is included in the rental price. Letting period runs from Saturday to Saturday - Short Break bookings are taken but only 14 days prior to stay. We can acccommodate pets by arrangement. We regret that No Smoking is allowed in either of the caravans. **If you are visiting from overseas or you need to hire linen and/or towels, these can be hired from Church Farm, please ask for further information. 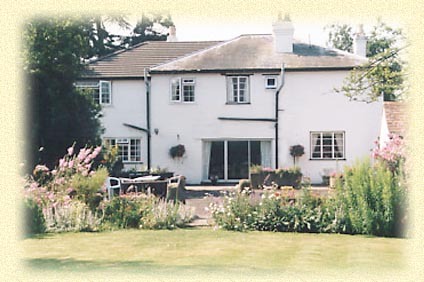 Please enquire about Short Breaks these are generally booked no more than 2 weeks in advance. Please note Short breaks must be paid for in full on confirmation of booking. 1. � deposit is required. Please pay the balance 6 weeks before the rental period. Any booking taken less than 6 weeks prior to arrival must be paid in full following confirmation. 2. In the event of cancellation deposits are non-refundable. 3. 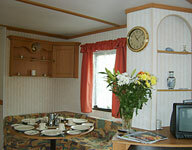 Static holiday homes are available from 4.00pm on the day of arrival. 4. 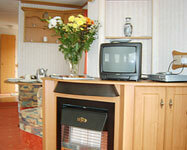 Static holiday homes must be vacated by 10.00 am on the day of departure. 5. The number of occupants must not exceed the names on the booking form. 6. We reserve the right of access to the caravans at any reasonable time during your stay. 7. Sorry, we exercise a policy of no smoking within the caravans, you may smoke outside. 8. All breakages and damage must be reported and paid for. 9. 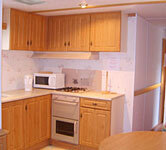 Caravans are to be left in a clean and tidy condition. 11. If cancellation occurs within 6 weeks of the booking, you will be liable for the full rental. However should we be able to re-let the caravan, your payment less deposit will be refunded. Written confirmation is required either by email or letter. 12. No responsibility of financial liability will be accepted from the Hirer for any accident to them or loss or damage to their property/personal belongings/motor vehicles, whilst at the caravan, however caused during their stay. 13. It is in your interest to take out Holiday insurance in case you are unable to take your holiday for any reason whatsoever. Leave M40 at Junction 15, take the A46 to Stratford follow town centre signs. In Stratford take B439 Evesham Road (signed Stratford race-course) and drive along here 4 miles. Turn left signed Welford. Go into Welford village and turn right at the Maypole Stores signed Dorsington- Barton Road. Drive three quarters of mile and take first left again signed for Dorsington. Continue for one and quarter miles to Dorsington village, and our farm is the first on your right - a white house with B&B sign. Leave the M5 at Junction 9, and follow signs to Evesham, and then on for Stratford round the by pass. Get off for the race-course and Bidford (B439). You will come to a roundabout in Bidford, Turn right here for Broadway, go over traffic lights and bridge drive for half a mile and take first left signed Welford. Drive along here for about a mile and take first right signed Dorsington. Come up into Dorsington, turn left by the Telephone Box, we are 100 yards on left with a B&B sign. Shakespeare's Stratford on the Web / QuinSolve &COPY; / June 2013. Your confirmation info will be sent to your E-Mail, phone or fax. In submitting your booking request you are confirming that you are over 18 years of age and have read and agree to be bound by the terms and conditions stated above. Cancellations: Deposits are non refundable. We strongly advise you take out Cancellation insurance.